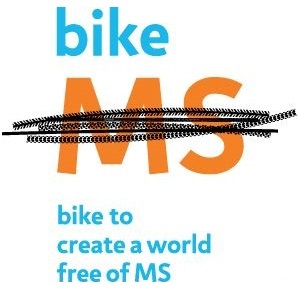 Since 2006, I have embarked on a weekend bike ride of 150 miles to raise money and awareness for the MS Society. In 2008, I was honored to be asked to join the Mid-South Chapter advisory board for our annual event "Jack & Back." I have been a board member every year since and love giving back to this charity. This year's ride takes place the first weekend in October. If you'd like to ride, donate or just know more about it - please check out my donation/event page here. Being from St. Louis, MO, there are a couple things that are just always going to be in my blood - Cardinal Baseball and Bud Light. In December of 2013, I attended a charity event called "Onstage in the Off-Season" where I had the privilege of meeting Albert & Deidre Pujols and their family. Just recently in July, 2014, I was asked to join the Pujols Family Foundation's board and assist in their continued mission of raising awareness for Down Syndrome in the US and improve the lives of the impoverished in the Dominican Republic. For more information on this great foundation, click here. TLR: Sound Good. Do Good. Through The Listening Room, I have made it a priority to donate my venue once a month in order to team up with local and national non-profits in order to give back to our community. This all started in May of 2011 when I teamed up with Hands On Nashville to do an all day event to raise money for the victims of the Nashville flood. I love giving back, and I love doing whatever I can through this in-house program.